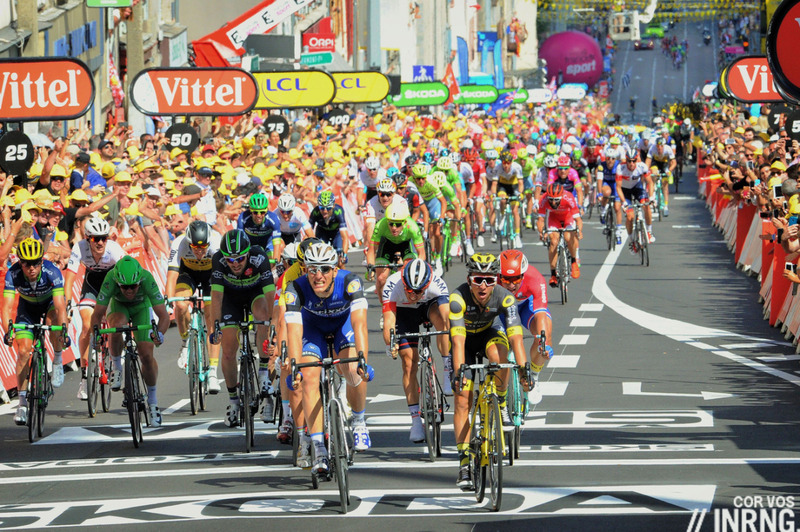 The Tour de France has issued its four invitations and as predicted they go to Cofidis, Direct Energie, Fortuneo-Vital Concept and Wanty-Groupe Gobert. The Giro recently caused controversy by snubbing two Italian teams in order to invite teams from Poland and Russia. In both cases these wildcard picks are too tame, there are 22 teams to chose from yet only a few look capable of finishing a grand tour intact. This is a sign of a structural problem in the sport. The wildcard invitations are predictable and that’s part of the problem. Once upon a time the sport was such that a small team might have a star in their ranks who shone so brightly they had to be invited. This is rare these days but holds true for Cofidis thanks to the volatile Nacer Bouhanni, one of the few riders outside of the World Tour who beats the big names and big teams on his day. But Wanty-Groupe Gobert? They have a solid roster but no superstars, especially given Lieuwe Westra’s sudden retirement. Only four of their 22 riders have finished a grand tour so far so reaching Paris will be a major, if unstated, goal. Still Guillaume Martin is a promising climber and should be good for a quote give he’s got a masters degree in philosophy, Kenny Dehaes sprints well and they’re bound to fire riders up the road every day just as they tried in the Dauphiné last summer when invited there. It could be argued that Damiano Cunego is a big name for Nippo-Vini Fantini but he hasn’t won a race for four years. Last year he wore the mountains jersey for much of the Giro before losing out to Mikel Nieve on the final mountain stage, a symbolic subjugation of the Pro Conti invitees to the World Tour’s best funded team. Despite Cunego’s best efforts the team wasn’t a must-have invite for the Giro and we’ll return to the Giro in a minute. Back to the Tour de France and Direct Energie have Bryan Coquard, Thomas Voeckler, Sylvain Chavanel and the promising Lilian Calmejane. Fortuneo-Vital Concept have suffered the blow of losing new leader Gianni Meersman to an early retirement because of heart condition while Dan McClay was good in the sprints but not a “must have” pick at the moment. Maybe they just got invited back because of Armindo Fonseca. “Who?” you ask. He was the rider who attacked on Stage 3 of the Tour de France last year when nobody else would and did something to enliven an otherwise soporific day. Fonseca’s attack is an illustration of howthese wildcard teams are no longer brought in win but to “animate” or enliven the race. This is sometimes a euphemism for a pointless attack and the phrase “cannon fodder” springs to mind, especially on flat stages. We see riders from wildcard teams being forced to waste their energy in desperate attacks that will surely fail but at least they provide visual evidence of a race, as compared to a procession of riders across the landscape ahead of an inevitable sprint finish. In return for these brave bids the smaller teams TV airtime and publicity although how valuable imagery of futile riding might be to a brand is up for debate. Anyway the invites go out to teams with slim chances of a stage win or shaping the overall classification, instead these teams have a utility function to enliven the race. It’s not all wasted energy. One unseen aspect for this blog’s English-speaking readership is the importance of local riders. Follow the Tour and Giro in English and you might not get much news about the lesser teams but these squads get decent daily coverage in the local media. RAI TV’s post stage show Il Processo Alla Tappa features Italian riders every day (arguably too much, to the exclusion of a lot of interesting non-Italian riders but that’s another story) so the Giro needs talkative Italians to retain the TV audiences. The same in France where the crowds and TV all want to cheer on “their” riders; it’s also a land where the regional press sells very well – Brittany’s Ouest France has a circulation bigger than national dailies Le Monde and Le Figaro combined – so while you might not see so much of these wildcard teams if you watch via NBC, Eurosport or ITV, these smaller teams are visible on the local media. This local aspect could be a reason to invite a foreign wildcard team too. If a race wants to cultivate an audience abroad then it can invite a team from that particular market but it’s not obvious. As ever the World Tour creams off the best riders and if you want to grow an audience surely you need winners that the public can get excited about. Put bluntly if Giro owners RCS want to cultivate an audience in Poland then surely they need to ensure Rafał Majka and Michał Kwiatkowski are on the start line rather than the CCC team. What if some of the Giro’s wildcards are linked to sponsorship, for example Polish shoe shop CCC is a visible sponsor at RCS races. Do teams pay to race? Nobody is open about this, we’re left guessing and if there’s a correlation between sponsorship and invitations it’s not a perfect match: try and find a Gazprom logo at the Giro if you can. Even if it could be proved would it be a bad thing in what is already a nakedly commercial sport? The Giro itself is not that profitable and money is needed to keep the wheels turning. Still there’d be an irony if the poorer teams had to buy their way in while the wealthier teams tap appearance fees for fielding their better riders. All talk of money would be irrelevant if the Italian Pro Conti teams were stronger, for example the Androni team simply doesn’t have a roster to get that excited about and if the team’s Colombian Egan Bernal is promising, he’s only just turned 20 and so perhaps all the more reason to wait before dropping him into a grand tour. The problem is that the system of inviting teams suited a past era better. Today the top talent is in the World Tour and the moment any rider from the Pro Continental ranks starts to look useful they’re snapped up by a bigger team. See Hugh Carthy’s move from Caja Rural to Cannondale-Drapac or Lachlan Morton to Dimension Data whereas once upon a time a smaller team might retain a leader as their entry ticket to a big race. Some teams are fine with this poaching, indeed Sport Vlaanderen-Baloise delights when riders “graduate” into the World Tour but for most other teams it must be destabilising to see their best riders lured away. This creates a structural problem where there’s the World Tour and there’s the rest. To paraphrase Lionel Birnie from a recent edition of The Cycling Podcast it’s almost like the World Tour is a breakaway league such is the chasm between it and the second tier Pro Conti ranks. Only the gap doesn’t just exist there, the Pro Conti teams are a big mix with a handful of strong teams with decent budgets and then several more modest teams. There’s still talk of shrinking team sizes down to seven riders for the grand tours. This will have knock-on effects but we don’t know what shape they will take. Will it mean a smaller peloton or will it allow for more teams to be invited? Everything else being equal inviting more teams doesn’t sound so exciting given the difficulty in filling the four berths already. But rule change could have a dynamic effect where riders leave big teams for smaller ones because they’ll be able to ride the Tour de France which makes inviting smaller teams more exciting. The World Tour teams get automatic invitations to all the big races but who to invite from the Pro Conti ranks? It’s not easy, especially for the grand tours. There are 22 teams to chose from yet the pickings are slim. 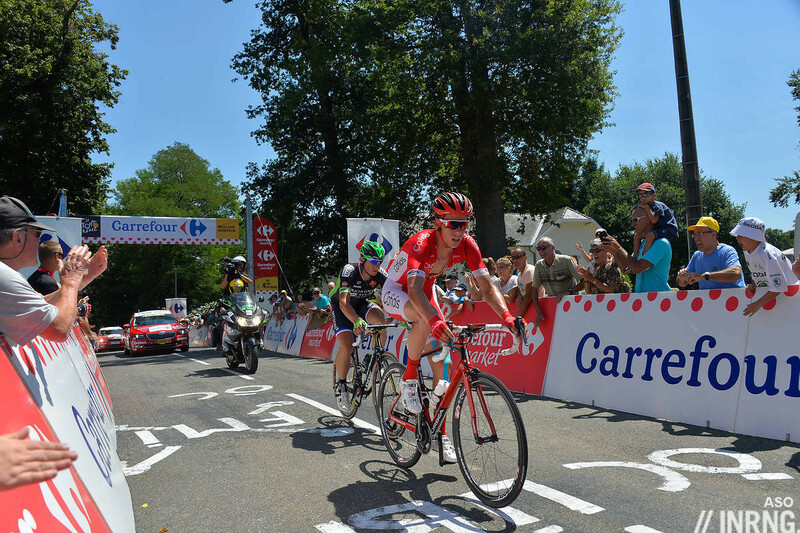 Some options like Cofidis for the Tour de France seem obvious thanks to Nacer Bouhanni, even if the team hasn’t won a stage since 2008; and Bardiani-CSF have a roster and record to merit a Giro start… but others are a stretch. 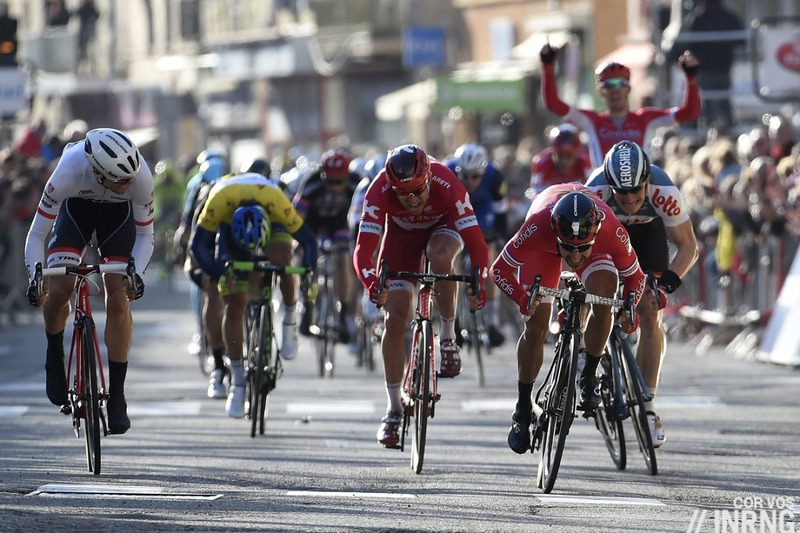 Being local helps but it’s no guarantee, see the Giro where Androni and Nippo-Vini Fantini are left out. If they can’t win then these teams get praise for trying. Think of them as “content providers”, an ugly phrase but useful nonetheless as they’ll attack when nobody else will and if this doesn’t always bring action it does at least supply a breakaway on those flat days when nothing else is going to happen during hours of live TV. Better still and often unseen these smaller teams have local roots and they’ll bring out people to the roadside and once the stage is done they’ll feature in the regional media. I never though the local teams matter much until seeing a stage of Tour on holiday in France. All those camper vans and cars are draped with Cofidis and Directe Energie flags like you can’t imagine. It’s not just about “content providing”… the mere existence of these teams is instrumental to raise those riders… who are subsequently *poached*. A big teams isn’t always the best environment for a growing rider and, anyway, he’ll always be the young gun in a world level team. He might just not make the cut to race the big ones. He probably won’t have many occasions to start learning what is it like to race as a leader. Let’s say Hugh Carthy had gone to Team Sky, was he really going to race the Vuelta over David López, Boswell, Kennaugh, or König? Consider that Sky didn’t even send its best climbing team, not even by far, but since they intended to gor for GC, they sure weren’t going to “waste” a place in order to provide useful experience to a 22 years old guy who never had raced three full weeks (and who duly made the *top 100* – not a typo for “top ten” – only in three stages). Would Sky give him a captain role in Volta a Catalunya, where the guy collected a final GC top ten? A big team, more often than not wouldn’t even participate in the kind of races which a very young talent might hope to win, like Carthy did in Vuelta Asturias, unless they’re its *national* ones – and even in that case, they’ll have supposedly stronger riders to support for the occasion, maybe some luxury gregario who happily gets his chance. A smaller teams might be motivated to tackle a wider range of small to medium races in different countries, like Giro dell’Appenino (ITA) or Route du Sud (FRA). Carthy made valuable international experience in both. Obviously, Moscon’s case could be named, or Sebastian Henao’s. 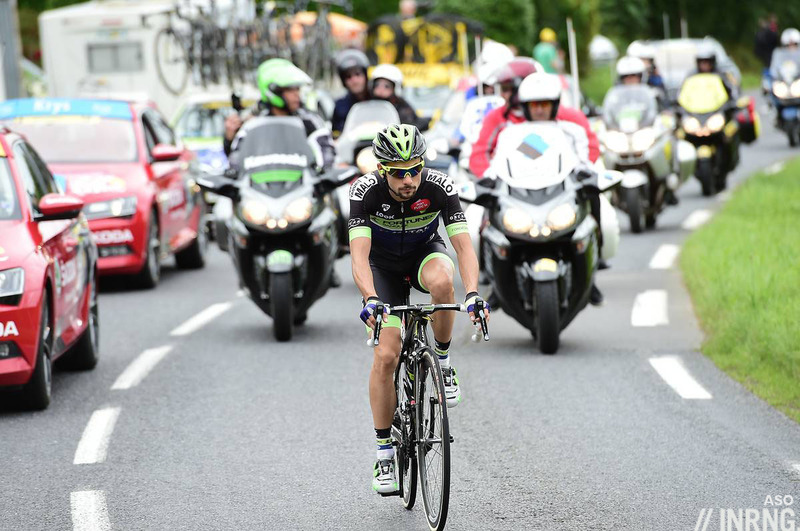 Or one might defend that Cannondale is indeed a different case, and think about Bettiol. I’ll go back to that point later. However, none of these riders actually enjoyed an all-around season as Carthy did. They might have become captains for one or two races, and usually by chance, not because of their specific role in the team. Yeah, because the kind of experience you need to build up isn’t only about your role *in a race* but also about your position, your responsibility, in the whole context of a team. And you’ve got a Peters to balance a Moscon, a Zepunkte for every Bettiol. It’s not only about Carthy, that’s the first to point out since it’s very recent and easily remembered (besides, inrng cited him). Androni raised WT relevant riders like Rosa, De Marchi or Felline; the present Wilier-Selle Italia had been an early home to the then very valuable WT-level helpers Oscar Gatto, Belkov or Simon Clarke. And guess where a 22 years old Stannard tasted his first GT? I won’t detail Bardiani (they’re actually winning Giro stages, hence they’re competitive as such, no need to list every Colbrelli, Modolo or Battaglin who made it to the WT), nor Nippo, they’re indeed a step below (although you can trace back there Arredondo or Anacona). Is cycling going to count on “lesser” WT teams to carry out this function, say… Cannondale? In football leagues it’s a bit like that, but it’s wholly different, I think there’s no need to show how and why. I’m not very sure it might work in cycling, it’s not really the same thing as having Pro Conti doing that kind of work (not to speak of development team which belong to a different concept). The race program could be a problem. And would sponsors be happy? It looks like that for many “lesser” (to say so) WT teams it works better the other way around, that is, growing up *as a team*, not growing up riders to send them elsewhere (think about Bora, Orica, Ag2R Sunweb etc.). Cycling is a complex *ecological* system, reducing it to a closed league of sorts will cut its roots and ultimately dry it out. I agree, the “content provider” is the race/TV view of it but there’s a wider system. But as we see with the Giro/RCS this ecosystem isn’t the race’s first thought when handing out wildcards. I was wondering whether an Italian Pro Conti team could enter some sort of pact with RCS if it sets up as a development team, a promise to act as a bridge between the likes of Colpack and Zalf and the World Tour in return for the promise of regular wildcards. 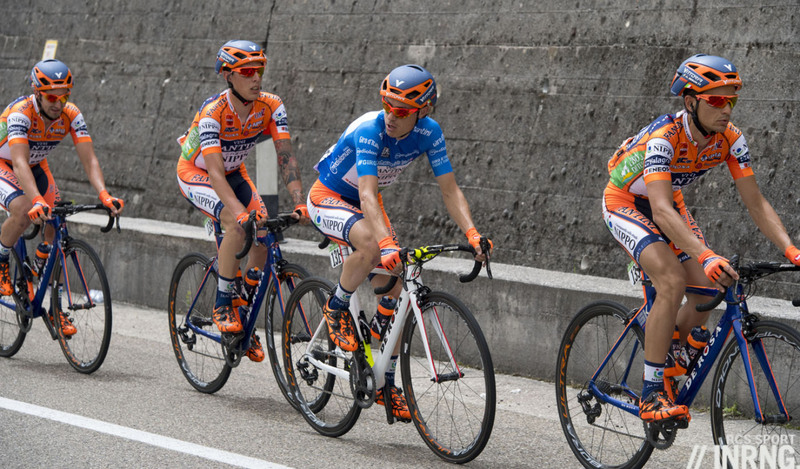 It’s not RCS’s first thought, but it might be ASO’s… I don’t think that RCS is acting very clever now : they might earn some money but maybe they are slowly struggling italian cycling, if the small teams disappear. And if there’s less italian pro cyclists, there will be less spectators, and less kids dreaming of becoming Nibali, and less teenagers wanting to become pro cyclists, and so on. At some point soon we need a big shift in cycling to boost the second-tier, the ProContinental Tour. It’s a hybrid step between the elite of the World Tour and the Continental Tour. Where we have a couple of PCT teams that are able to contest WT events/stages from time to time and many PCT teams that are jumped up Continental Teams. Without some big increase to the competitivness of the PCT, WildCards will remain largely ceremonial and politicaly/economically/nationalism driven affairs. WildCards should be based on a pure sporting ability, but the gap is so big this doesn’t work. It’s a throwback to the olden days when races invited who they wanted entirely. Riders would spread out more and big names could support a team by themselves through appearences at the big races. The world of cycling doesn’t work like this anymore, for right or wrong. I am a fan of the proposed reduction of the WT. Less teams there will raise the level of competition in the PCT, if cycling can makes itself more financially secure and balanced. Indeed. I’ve stated similar things many times before. Pyramids are strong and stable because the base is wide. To gain stability and strength, there needs to be more Pro Conti Teams than World Teams. Further, the Pro Conti Teams need more opportunities to race between themselves. As is, most often they are competing up against World Teams or down against Conti Teams. There needs to be incentives for Pro Conti Teams to form; outside Europe these teams have fewer opportunities to race, so the incentive to step up from Conti isn’t there. There will always be budget disparity within any level of the sport, but giving more opportunities to shine is the key for exposure and development (rider, team, corporate…). Not all races need to be at the WT level to be successful. A hard fought race without stars is as good or better to watch than one where it a procession of stars. Not sure tame is the correct word. Predictable yes. but I’m not sure who you’d prefer to see? I was surprised when WGG didn’t get an invite last year, and from performances in other WT races are worth a punt. Cofidis are in because they’re the biggest French team and arguably the only reason they aren’t WT is because they don’t have to spend the extra cash just to get invited to the WT events. DEN are only just behind Cofidis in French profile and FVC gave a good account of themselves last time out and are probably worth the invite to see if Dan McClay can improve on his showing in the sprints. Who would you want to see in their place if you want ‘wild’ wildcards? Tame in that the system makes it this way, it’s not who’d be preferable, instead it’s more that by the time you hand out the 4th invite it’s not an obvious choice. I’d ask how many WT teams have a chance to win on GC? Certainly not all 18 of ’em. So same s__t- different day. How long before 12 teams are fighting it out for 18 WT places? Before that happens they should boil “Heinie’s Folly” (if they insist on having it at all) down to 12 teams with 6 wild-card spots left to promoter’s invite. I still fail to understand what purpose the WT serves other than putting some euros in the UCI pockets? What was wrong with pro cycling back-in-the-day when teams had to PAY to get into LeTour? 7/Eleven’s boss used to joke that for something like a $30K entry fee they got “hotels for the riders and staff + meals, two team cars…and a couple of towels” Invites were ALL up to the promoters back then and somehow pro cycling was just fine…or at least better than it is now? In the old days, the TdF would never invite a team on the basis of a sprinter. Now we have WT teams only focusing on stages and sprints, taking away leader positions and possible salaries for all-rounders who could fight throughout the race for an overall positions, and who have to accept (but should also have the pride not to accept) lieutenant positions in the richest teams. Hence: the flat stages are more controlled by teams who literally depend on them, and the overall is contended by a small number of teams and riders. There are certainly 22 guys who can aspire to the top-5 in every GT, and there should be a team for each one of them. With that in mind, even Pro Conti would have good leaders. Budget caps would also help, for sure. Sprinters can’t be team leaders in a GT. Period. I think you’re a little dismissive of the value to the sponsors getting their names on the screen in those long hopeless breakaway bids. Or at least, the perceived wisdom has been to sell sponsors ‘airtime’ by getting in front of the cameras in these sorts of situations. Though to be fair is there ever any analytical information of the benefits of advertising? Anyway, I seem to remember a certain Bradley Wiggins riding for one or two of the smaller teams. Riding a grand tour surely is an experience which you cannot succeed in riding for the first time. I know there are exceptional cases of riders who have – but I cannot think of one in the recent era. I agree with your general concept about the need to gather experience in GTs, yet I believe it’s more about mentality and development programmes than anything else. That is, nowadays (and rightly so, perhaps), several riders might be prompted by their DSs to watch out, save efforts, not burn themselves out and so on when it’s their first experience. And, obviously, if you don’t go full gas, there’s no chance to know what you might do in case you were eyeing GC from start. In that sense, Quintana and Contador didn’t outright win their first GT, but they went pretty much close to that concept. I mean, you sure grow up a lot as a rider from year to year and so, but Quintana went from 36th in the Vuelta to Tour de France runner-up the first time he tried the French race. Too much of a difference not to believe that the first result was partly due to racing attitude/strategy as previously programmed, and not just the expression of pure rider’s capabilities. Then he went on to win the Giro at his firts attempt. Same could be said about Contador finishing its first GT in 31st place, just to win the TdF the following year, and making the double Giro + Vuelta the next one (without any previous experience in both GTs). The question with hopeless breakaways concerns the format of TV coverage. The Tour is bigger than the Giro when TV is concerned, but it’s not another order of magnitude if you speak of people watching the stage live on TV, let’s say at least the last 90′. Under that respect, the Giro is worth about 40% of the Tour – about 5 M against 12-13 M.
Where the Tour is hugely bigger than the Giro – and pretty much anything else – is when we speak of short news in generalist coverage, or short highlights in sport news. If you speak of 30″ to 5′ clips, the Tour can be even ten times or more bigger than the Giro (there are no comparable, consistent and trustworthy data as in the case of live spectators, but it’s something like that). And here we get to the point: many times, the breakaway doesn’t enter the short clips; its presence, in case it’s shown, is really reduced, not every rider or team is named – and it’s more and more like this. Which means that we’ve really got two different marketing levels… in one of the two, the biggest one, you now have to spend more money than ever to buy visibility, because you need to *win*, and that’s becoming a privilege reserved more and more to the over 12 M teams.